5 Best Tips for Back Pain Relief – Sig Nordal, Jr. Pain isn’t just a discomfort. It can also be a sign that something’s wrong with your body. If you ignore it and if you fail to do something about it, your body can end up hurting for days, weeks, and even months. And that’s really bad for your overall health. To help you get rid of the pain on your back, here are the best and most effective tips you can use. This works like a charm for back pain. By applying ice, you’ll be able to temporarily block the pain signals. You’ll be able to relieve swelling, too. Now, if you don’t have an ice pack, you can use a bag of frozen corn or peas. Wrap it in a towel and lay it on the affected area for about 20 minutes. Do this several times a day. About 48 hours after, apply moist heat to the affected area. This is to enhance blood flow and lessen those painful spasms. Dip your towel in warm water and wring it out. Fold it and flatten it on the affected area. You can make this step a lot easier by lying on your stomach and placing pillows under your ankles and hips. Leave the warm towel on your back for about 20 minutes and repeat three to four times a day. Poor posture can put a lot of stress on your back. It increases your risk of having problems in your joints, muscles, and discs. It can even lead to the anatomical changes in your spine over time. Improving your posture when you’re so used to being in a hunched position can take a lot of discipline and work. While you are still working on that, you can try a few exercises to reduce posture-related back pain. For one, you can try the upper-body stretch. It’s really easy to do. You only need to face a corner and stand with your arms raised. Put your hands flat on the wall with your elbows at the height of your shoulders. Place one foot in front of your other foot and slowly bend your knee. While exhaling, lean your body in the direction of the wall. Keep your back and chest straight and hold the position for about 20 seconds. Imagery can also help. Simply imagine having a line running through your body. Imagine your shoulders, knees, ankles, ears, and hips aligned with that vertical line. If you’re still using a mattress with unyielding coils, it’s probably the right time to rethink your mattress. Really old, saggy beds should make you think twice, too. You see, when your mattress is already sagging, it means that it doesn’t have adequate support anymore. It can leave your back painful and stiff in the morning. When choosing a new mattress, it’s best to consider your sleeping position. This is to ensure that your body will have the right kind of support to relieve unnecessary pressure. Check for the comfort it provides, too. Softer mattresses are best for people who don’t really need too much support. If you sleep on your back and your body needs a lot of support, go for firmer mattresses. Get a bed that’s the right size for you. The last thing you want to happen is to feel cramped and crowded in your own bed. Back pain is one of the most common reasons why people consider getting acupuncture and it’s proven to be really effective. 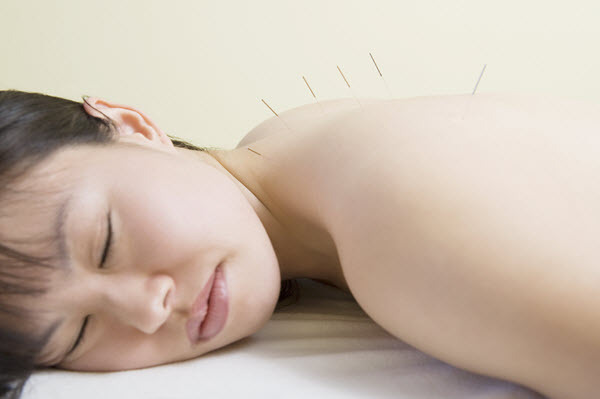 There are several theories on how acupuncture relieves back pain. One is that it changes the brain chemistry by affecting the release of certain neurohormones and neurotransmitters in the brain. Those two affect nerve impulses and the activity of certain organs in your body. Another theory involves the release of natural opioids. Acupuncture can trigger the release of your body’s natural painkillers to reduce the experience of pain. Take note that acupuncture may not be the best solution for you if you have any implant or if you wear a pacemaker. Be sure to tell your doctor about it and any other medications you are taking to avoid negative reactions. If you really need a fast-acting solution or if you can’t wait for the other remedies’ effects to take place, then just pop a pill. There are several pain medications that can ease your back pain. One of your best choices is Naproxen. It can reduce inflammation and pain in your muscles and joints. You can buy it even without a prescription. Even though it doesn’t require a prescription, it doesn’t mean that anyone can take it. If you are allergic to anti-inflammatory medicines or if have stomach ulcers, blood clotting disorder or high blood pressure, talk to your doctor first. In using Naproxen tablets, make sure to take it with a meal to reduce its effect on your stomach. As much as possible, take the lowest dose for the shortest period of time. Look out for its most common side effects, like headaches, changes in vision, dizziness, and confusion. 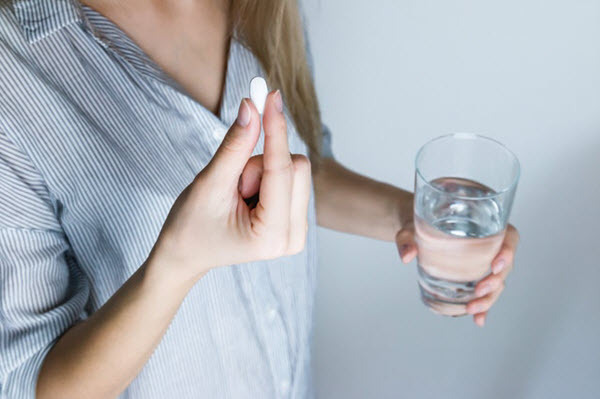 Rashes, ringing in the ears and tiredness are also common to people taking Naproxen. Pain is more than just a discomfort. It can also be a reflection of your health. If you wait for it to go away on its own, you can end up with a lot more problems. You can lose weight, experience mood swings, and face depression and anxiety. Your mental health can suffer as well as your lifestyle and finances. This list of tips for back pain relief is just to help you lessen the discomfort you are experiencing. It’s not meant to treat any existing health issues you are experiencing. Remember that it’s still best to consult your doctor, get a proper diagnosis, and be given the right treatment if you want to end your back pain for good. The post 5 Best Tips for Back Pain Relief appeared first on Dumb Little Man.